If you have time to bake these bars, you’ll love them as a sweet snack when on the go. Your kids will gobble these up between their extracurricular activities! 1. In a bowl, combine oats, hemp seeds, baking flour and mix. 2. Roughly chop dates, walnuts, mango, and cocoa. 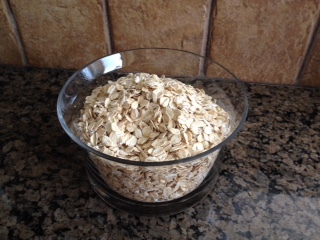 Add to oat mixture and toss. 3. Add honey, coconut oil, and egg white to bowl. Using spoon or hands, mix until well blended. 4. Press mixture into prepared 9 x 9 baking dish. 5. Bake at 350° F for 20-25 minutes.